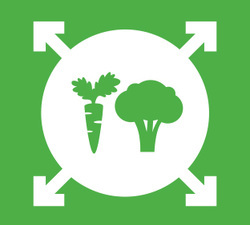 Encourage food production in public spaces by allocating public land, removing zoning barriers, and providing promotion and funding for community organizers. Promote community supported food production such as CSAs and consider purchasing farm shares to meet municipal needs. Offer landsharing of backyards, farms and other viable land for food growing as an in-house service or provide promotion or grants to non-profits that provide the service. Promote, provide grants and / or access to publicly owned spaces to non-profits for shared kitchen space and/or equipment. Provide seed funding for local mealsharing initiatives that target people having difficulty cooking for themselves and/or focused on organic and/or local food. Violations of zoning and health and safety regulations, particularly for meal sharing activities in private homes; regulations may need to be updated.